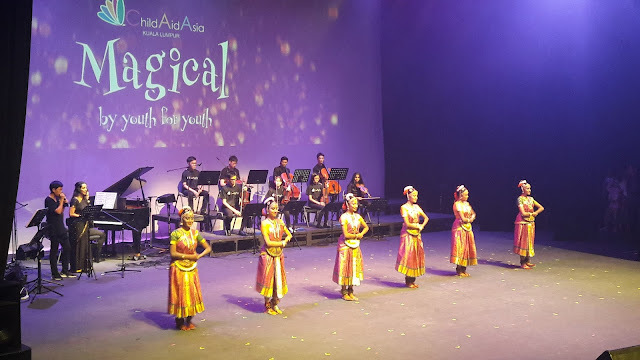 Last Saturday, my daughter and I were both amazed by young and talented children who performed at the Child Aid Asia Kuala Lumpur : Magical by youth for youth concert held at The Kuala Lumpur Performing Arts Centre (KLPAC). The children were all very talented in music and performing arts. Some were experienced performers and some were performing for the first time. In this world, there are many poor children who are not doing well in their studies but are probably talented in music and performing arts if given the chance to learn. Child Aid Asia KL has helped many of these underprivileged but talented children. This year like previous years fund raising concert has touched the lives of many young and talented children. There were about 100 participants and 70% are local children. 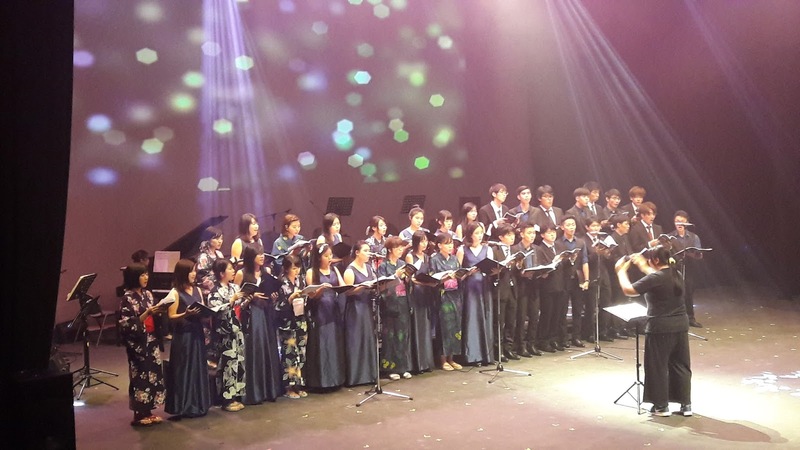 Themed A Magical Journey, the concert event was supported by Kiwanis Club of Damansara. This concert brought children closer as friendship was formed and they learnt to work together. There were some participants who have performed in front of large audiences and some who were new to the world of music. The concert is attended by guest-of-honour Datin Paduka Chew Mei Fun, Chairman of Malaysian Chinese Culture and Arts consultative council and blossom arts festival, Governor of Kiwanis Malaysia Mr. Vincent Lim and Dr. Mario De Castilo. The president of Kiwanis Club Damansara, Siaw Wei Tang, and the co-founder of ChildAid Asia Malaysia, Ralph Lim were also present. In her speech, YB Chew said, "Music is great for developing brains. This fundraising concert is an important platform to highlight the reality that many do not have access to music education but with Child Aid Malaysia, the team has given young minds a chance to develop themselves in this field." Child Aid Asia managed to raise RM 70,000 of which RM10,000 of the proceeds will be presented to POBP Day Spring Selangor and RM10,000 to Matu Social Organization (MSO) to help them in their daily living. Child Aid Asia will receive RM 50,000. 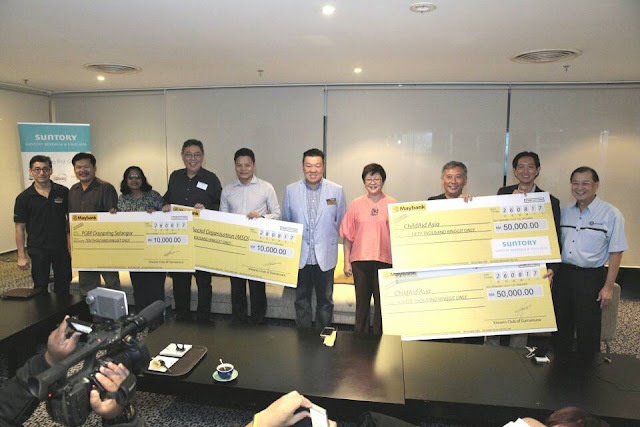 Thanks to donors and supporters Suntory and Paramount Properties for contributing RM50,000 and RM10,000 respectively. music player, Lau Jay Earn, and violinist-pianist Lim Ho Yi. Sixteen-year-old Yap is an award-winning musician. Among his achievements are winning the Grand Prix Award in the Junior category of the Asia Pacific Yamaha Electone 2014, and winning the silver medal at the Chopin 2012 Competition where he also won the Dato' Ruslan Award. Fourteen-year-old Lau, for his part, is incredible with his prowess in beatboxing. His talent has taken him to as far as Germany, where he was invited to Munich to take part in the Super Kids talent competition last year. The teenager's love for music began at the age of three with the violin, but he discovered his love for beatboxing at eight, and has pursued the latter wholeheartedly since then. Lim has played musical instruments since the age of nine. She has performed at different charity concerts in aid of underprivileged kids and is a member of the CAA Amazing Orchestra, a team comprising children that have raised funds to build a small school in Cambodia. 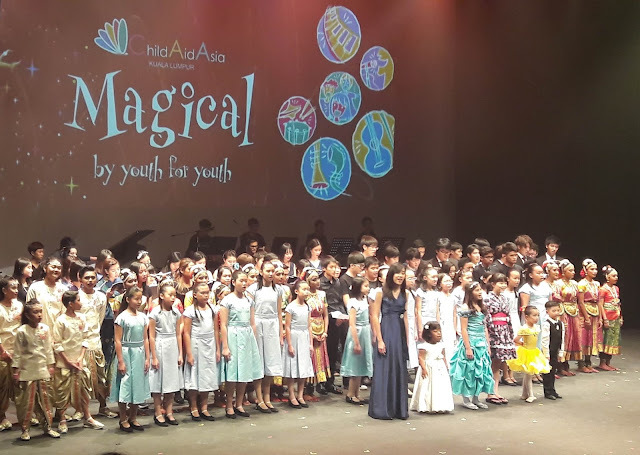 Child Aid Asia KL 2017 concert was indeed magical. It was an unforgettable night seeing young and talented children from different countries coming together to share, learn and perform on stage. 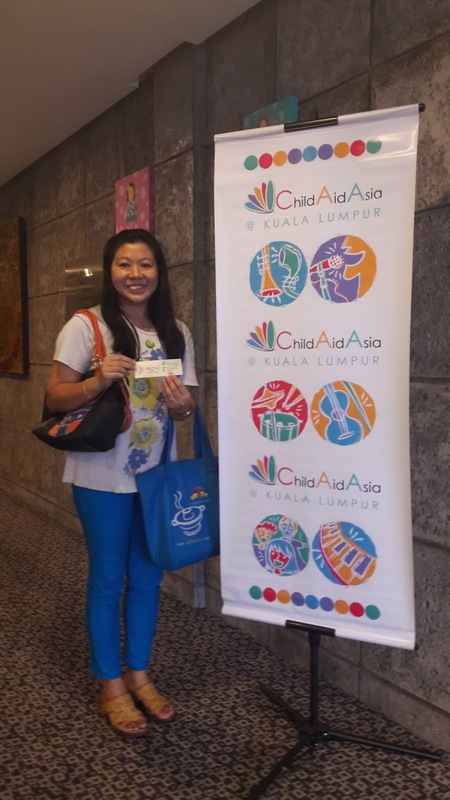 Thanks to all supporters of Child Aid Asia KL 2017 and everyone who made it possible for underprivileged children to show their talents in music and performing arts. Nice event. I would love to attend this kind of show too. The concert was very entertaining and the children performed very well. I love to watch concerts, it's always so relaxing. I'll be watching my son's concert soon too. It gives good feeling to be able to help the underprivileged children. Yes, no point forcing them to study when they have not much interest. Better let their talents grow. this is surely great.. I am thinking of getting my girl into arts as she seem to enjoy arts a lot rather then academic.. Same with my daughter, she loves art more than her studies. Support no academy!! lol. Cause I dont like exam! Haha...many people don't like exams. Let kids do what they like so when they grow up, they enjoy their work. Glad we were both there to enjoy this concert. They are amazing and you are so lucky to witness them performed. Let's support talented kids and encourage them to pursue their passion. This is such a meaningful performance. I think I would shed tears if I were to watch it live. Wished I could but not possible with my schedule.